I know it's Christmas Day and you may be starting your third glass of champagne by the time you're reading this, but I just wanted to write a quick post to wish you all a very merry Christmas. Whether you've had an amazing year, or one filled with a few ups and downs, the festive period is a great chance to put your feet up, watch crap TV, chill out with your nearest and dearest, and stuff your face with all the food you can get your hands on. Take this time to recharge your batteries ahead of what I'm sure will be a wonderful 2016 for you all. Thank you so much for all your support this year, I really do appreciate it! Enjoy the next couple of days (whether it's time off work or school)...let's make 2016 an awesome year. 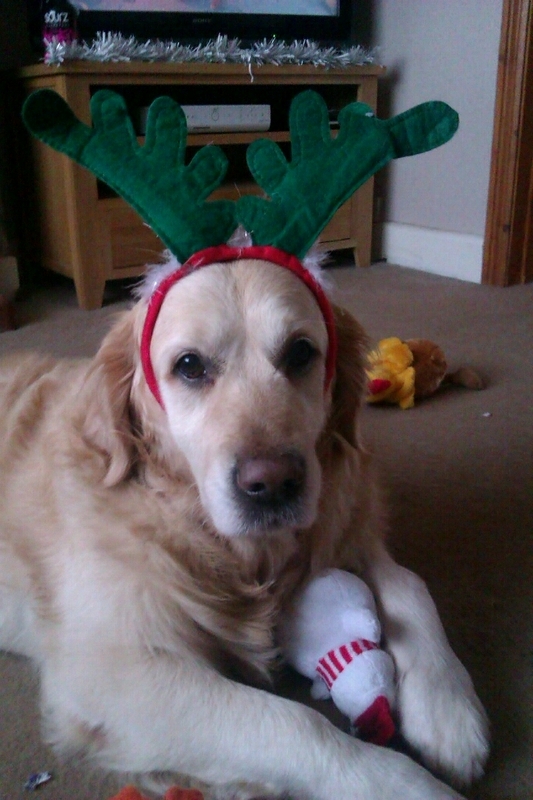 I will leave you with a cute, festive snap of Finlay! Are Blending Sponges Really The Best Thing In Beauty? If you ever watch any beauty tutorials online, you'll notice that almost every guru uses the infamous beauty blender sponge to apply their foundation, concealer and contouring make-up. The little egg-shaped miracle tool is supposed to change the way you apply your base forever, with many beauty brands bringing out their own version of the cult product. Dampen with a bit of water to see the tool expand and simply blend in the roughly applied foundation using lots of small dabbing motions and you are supposedly left with the most flawless-looking skin known to man. While there sure is plenty of hype around the product and blending technique, is it really worth dabbling in this new form of make-up application? It's beginning to look a lot like Christmas....Trees are going up, Christmas lights are being turned on and towns are filled with people scuttling about trying to complete the mammoth task of gift shopping. Whether you've started preparing for the festive holiday or not, you have to agree that Christmas has now become impossible to avoid (even if it is just a bit of Mariah Carey playing when you walk into your supermarket). I personally love Christmas-time; it's certainly the happiest time of the year and I just adore all the novelty goods dotted around in homes and shops. To give us a kickstart in getting excited for the 25th December, I've compiled a short list of things I love about this time of the year. If you suffer from hair loss, you will understand that it can sometimes overwhelm your life. Something that you have no control over, even if it is 'just hair', can have a huge affect on your physical appearance and your emotional state of being. Having trichotillomania and pulling my eyelashes out since I was 3 years old has taught me that hair is actually so important to me, and as a result, my appearance has been a meticulously thought-out operation for the sake of resisting judgement from the outside world. 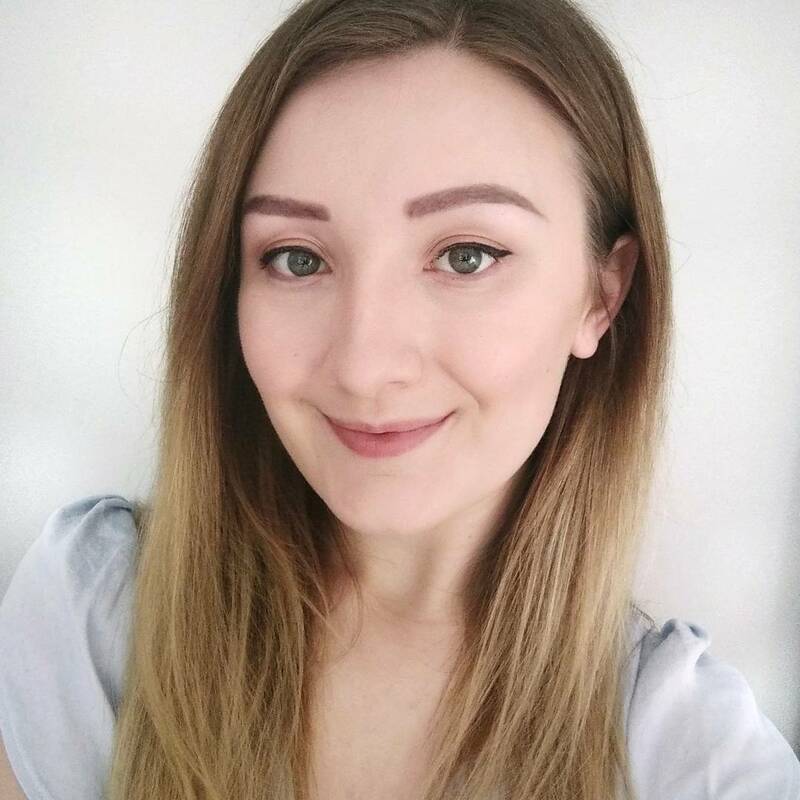 I never knew eyelashes would become such a focal point in my life, but experiencing hair loss has taught me ways to deal with not having lashes, and how to cover up these gaps. These tips and tricks will also apply to anyone who has sparse or stubby lashes (as well as none whatsoever), as I share with you my favourite products to boost growth or give the illusion of fuller lashes. Innovation is one of the most exciting things in the world of beauty. It's those moments when something is created and you think, 'why did nobody do that before?!'. My love for nail varnish has been a fraught one. When I lived in my parent's home, I adored painting my nails and trying out all forms of spangly nail art- it was a bit of creative 'me time'. However, it used to drive my Dad (an ex-paint sprayer) absolutely mad- the strong, nail varnish fumes gave him a headache and I was banished outdoors to decorate my talons. The smell of nail varnish is a bit like marmite; some don't mind it, others can't stand it. So, it's strange to think nothing had been done about this fumy scent...until Little Ondine came about. If you've read any of my previous skincare posts, you'll find that my face is very temperamental. Any slight change in stress levels or weather and my skin flares up with dryness, making me look like a flaky, scaly lizard-girl. No matter how much I moisturise, exfoliate and prime, my make-up just never sits right, and you can still see the dryness seeping through from underneath. As we're heading into colder months now, I thought I would change up my skincare routine in an attempt to get one step ahead of the dryness. This Merumaya trio have been perfect in taming my dry skin so far, and the combination of cleansing balm, serum and moisturiser have just been dreamy to use. It's that time of the year where every part of the body seems to need that extra bit of moisturising. The cold weather dries out our limbs and we find ourselves slathering on overnight treatments wherever we can. We make extra effort to prep our skin, whether it be face creams, hand creams, or gorgeously rich body butters, but we often forget about our hair. For most, a conditioning treatment will work wonders, but if you wanted to achieve ultimate softness, Lush R&B hair moisturiser treatment may be the product of your dreams. When flicking through beauty blogs and Instagram accounts, one thing I'm always jealous of is their ability to perfect the smoky eye look. It's a classic make-up style which will forever be fashionable, yet one I have never been able to master. Give me liquid eyeliner and tell me to create winged liner and I'm fine, but throw eyeshadow into the mix and everything goes to pan. After watching some tutorials over the weekend, I thought it was time to bring out the palettes and give the shadows another whirl. This look is inspired by fashion-blogger-wonder-woman, Sarah Ashcroft. She obviously has done her make-up far better than I have and ever could, so if you want to know the in depth 'how to' for the rest of her make-up (and not just the eyes), you can find the original video here. As I prefer a few extra minutes in bed to contouring my face (I lack the patience to use 3 different highlighters, but that's just me), I just focused on the beautiful eye make-up that Sarah had created. Here's what I used and how I did it. Despite the fact that I have pulled out my eyelashes for the past 18 years of my life (I am 21), I have found that my eyebrow pulling has physically affected the most. Maybe it a case of having adjusted to my long-term struggle with my eyelashes, compared to still having to adapt to my 5 year struggle with eyebrows. Either way, I have found that eyelash-pulling has been far, far easier to cover up than eyebrow hair loss, which is one of the main reasons why I see it as my main nemesis. It is so swiftly glossed over by most people who have never suffered from hair loss, and while I usually focus on the ignorance surrounding the emotional impact of hair loss, today the physical effects get their time in the limelight. Stewart and I always try to go out for dinner once every few weeks for 'date night', but we always seem to end up going to the same places (usually Italian) that we know are safe bets and will be cheap. It's difficult to find somewhere in Brighton that isn't massively touristy, a well-known chain, or attaching ridiculous prices to their dishes, so I turned to Twitter for a bit of help. After asking for recommendations, I was greeted, pretty unanimously, with 'The Giggling Squid'. Having never heard of this unusually named Thai place, I conferred with my colleagues only to be reassured that it's an incredible restaurant. It was confirmed- we were going to the Giggling Squid. It's that time of the year: festive songs are being played in shops, mince pies are being stocked in supermarkets, and your thoughts turn to the dreaded task of Christmas shopping. It's a part of Christmas that most people dread, but not me- I'm one of those weirdos that start their planning their Christmas shopping in September! Having written endless plans and lists of potential gift ideas for relatives (organisation is key in such a tremendous task), I thought I would do the job for you and compile a list of the best beauty buys that have started arriving in stores for Christmas. Whether they serve as Christmas gifts ideas for family, friends, or a little treat to yourself (go on, you deserve it), here are some of the best beauty gift sets available these holidays for all budgets. Today's post is a little different. It is far cuter than my regular content, so prepare for your hearts to be melted. My two pups, Maggie and Finlay, were lucky enough to be sent some food and treats by PetShop.co.uk, further confirming that a dog's life is indeed very comfortable and glamourous. While it seems straight-forward enough, these two Golden Retrievers are very fussy when it comes to their dinner (I have had to offer Finlay a whole menu before so he can decide what he fancies). These pooches can't be won over by any old treats- they have to live up to the high standards set by these pampered pups. So, when the box of goods arrived at their door, Finlay and Maggie were intrigued to see what exactly was inside. I rarely buy magazines nowadays, but when I saw that Glamour were dishing out free Clinique goodies with the purchase of their December issue I just couldn't resist indulging in the glossy mag. 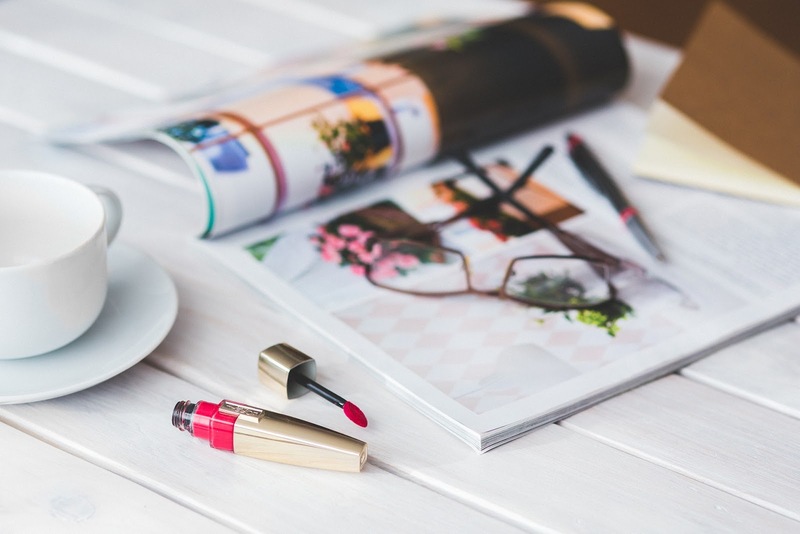 With this issue, you have a choice of four things; a daily moisturiser, mascara or two Pop Lip colours. I've had my eye on Clinique's Pop Lip range since they first launched, and after much umm-ing and ahh-ing, decided not to splash out. Seeing their collaboration with Glamour, then, filled me with much money-saving delight! It turns out I was right to eye up these gorgeous lipsticks as they are an amazing burst of high quality colour. 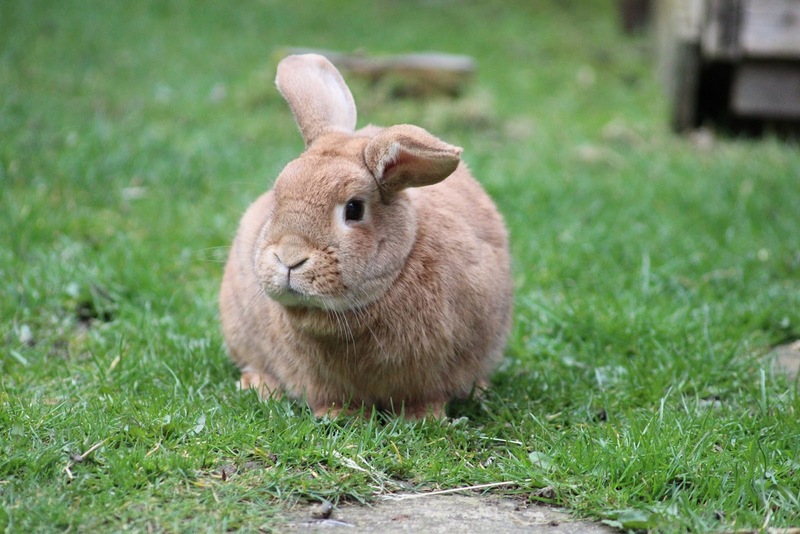 Today's guest post is by Helen Burdett and is all about her favourite places to buy vegan beauty. Enjoy! Finding vegan make up in the UK can be a massive challenge. Researching vegan make up brands reveals many in the US but far less in the UK or even that mail here without extortionate shipping costs. Just last night I spent over an hour trying to find a mineral foundation sold by a vegan brand that I could buy in a shop in order to test shades. I was unsuccessful and eventually ordered some travel sized samples from Barefaced Beauty. So on that note, I thought I would share my top three vegan brands easily available in the UK. 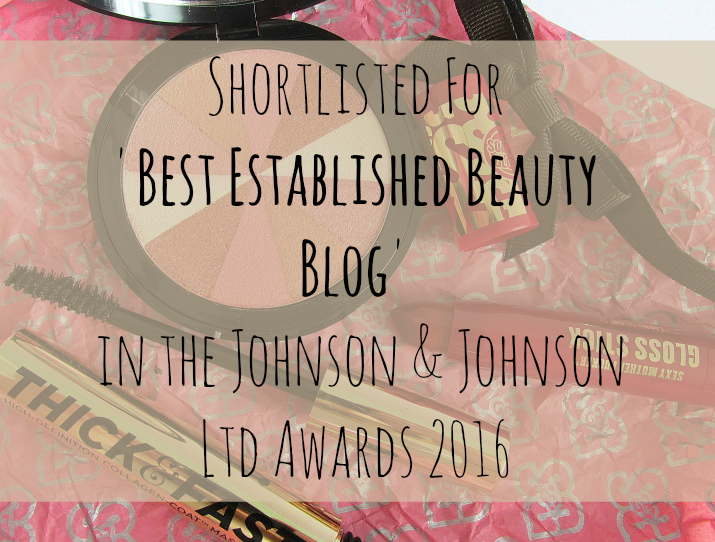 I'm always a bit sceptical when it comes to celebrity/vlogger/blogger beauty ranges. We have already seen a few examples of where any old product is created with disregard to its quality, but as soon as a famous name is attached to it, the product flies out of the shop window, leaving many fans and customers bitterly disappointed. First, it was celebrity perfume ranges. 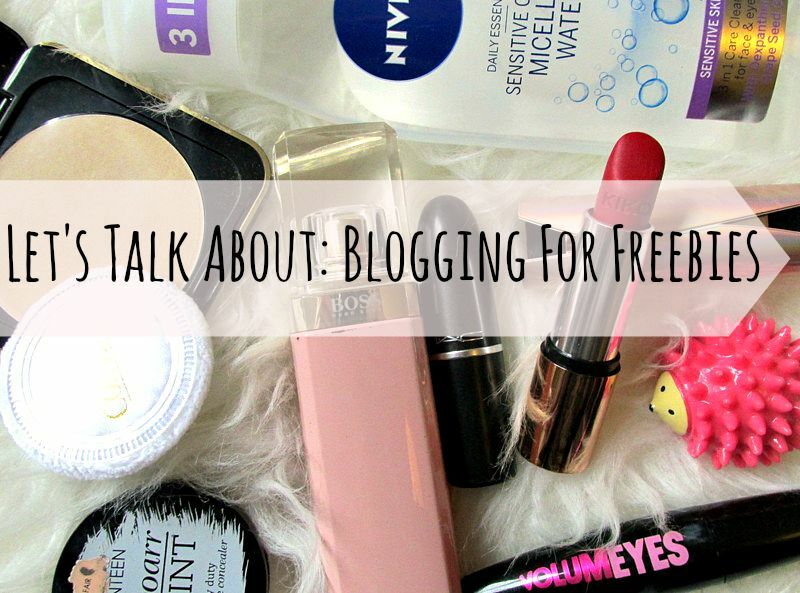 Now, the power of bloggers is infiltrating our beauty market (you can read my post about the saga here). When Fleur de Force launched her collection with false lash giants, Eylure, I rolled my eyes and thought 'not another vlogger range'. However, after picking up a pair to try out for myself, I have been forced to eat my words; her range is pleasantly surprising. With Christmas parties starting to lurk on the horizon, there are outfits to be picked out, festive accessories to be donned, and beauty looks to be considered. It's all well having the perfect dress to wear to those December social festivities, but if you don't have to beauty part matched, the look just isn't complete. Most will probably go for smoky eyes, red lipstick or gold nail varnish, but what about your hair 'do? Luckily, you won't be having to spend an absolute fortune on your barnet this season, as hair giants, Batiste, have you covered with their new(ish) styling range. If you ask people why they don't talk about their mental health, their silence will be for one reason: fear of their illness being fobbed off by others. The stigma that has been created around mental health illness never originated from the sufferers themselves, but rather their peers telling them that they are being silly, overexaggerating and that they should simple 'get over it'. Because mental health illnesses are invisible in comparison to, say, a broken arm, there is always an air of doubt whenever you start a discussion around it. Supposedly, there is no proof. How can we believe these people when they have nothing to show for their illness? 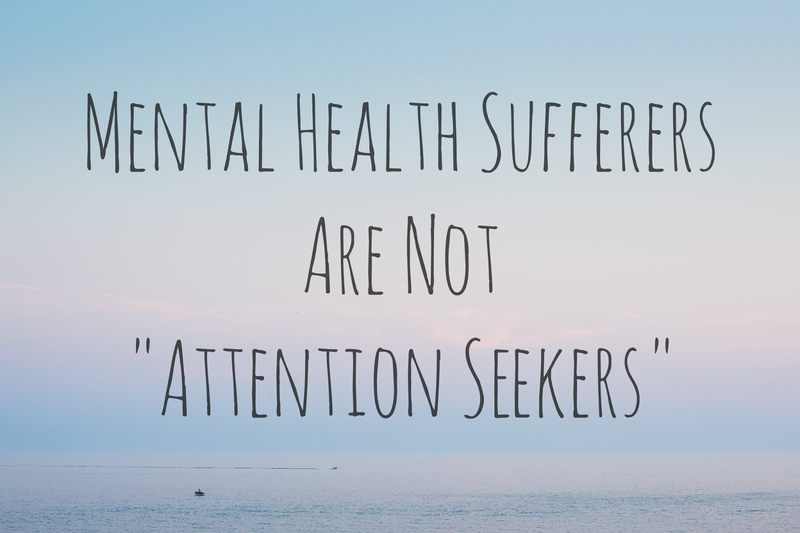 It is this attitude which leads to may sufferers being called attention-seekers, and this approach needs to stop. Just traipse around Brighton for five minutes and you'll realise one thing: this is a town completely obsessed with all things retro. This expression and love for anything quirky, kitsch and vintage has moved from being reserved for subcultures to exploding into Brighton's mainstream culture. There are shops brimming with retro clothes, jumble sales filled with quirky hand-me-down accessories, and restaurants aimed at giving you that 1950s experience. Now, Betty Lou helps to add to this vintage-fest with their 1950s/1060s inspired salon. Italian restaurants can easily get a bit same-y; many of the well-known high-street chains have menus which offer little variance and service which makes you feel forgotten on a busy Saturday evening. Brighton has plenty of restaurants and cafes to offer to the point where you are so spoilt for choice, the decision of where to eat gets even harder to make. Classic Italian restaurants are two a penny in this town, but there is one which I truly believe stands out from the crowd; Al Duomo. Situated right next to the Pavilion Gardens, a beautiful tourist hot-spot, this restaurant is central enough to pop in after a day of beaching or shopping, yet still somehow tucked away so as to offer you a bit of evening respite. Having to draw on eyebrows from scratch everyday is pretty difficult, let alone frustrating and time-consuming. With big, perfectly groomed brows continuing to be a huge beauty trend, more of us are turning to easier, more efficient ways to achieve that flawless 'Instagram brow'. Whether you chose pencils, powder or tints, there's no doubt that a little shaping guidance can be a massive help in the mornings when you're desperately trying to avoid drawing your brows on wonky. Brow stencils could be your beauty solution; it may seem simple, but after being previously disappointed by the brow tools, these Tropic stencils have definitely converted me and changed my morning routine. It's no secret that I adore false lashes. They have helped to boost my confidence through my open battle with trichotillomania, but are far more than just a simple cover-up. The market for false lashes has expanded so much in the past few years, so much so that they are no longer just seen as a volumous, indulgent addition to your eye make-up on a night out. Designs are now suitable for everyday wear, and there are so many different styles that they have certainly become an accessory in themselves. If you don't know where to start, however, these new sets from Eylure may help you on your way. Themed around 'Hollywood Glamour', the box of three pairs of lashes really do provide something for everyone. The world of fragrance is an ever-expanding environment, filled with scent experiments and combinations and and ground-breaking designs. Brands are constantly going the extra mile to come up with something a little bit different- something that'll turn heads within the industry and make perfume something other than a pretty bottle of nice smelling liquid. Dior have done just this with their innovative Touche de Parfum fragrance oil. Created by Francois Demachy, Dior claim that this new product provides "a new olfactory and sensory experience". Is this more than just another fragrance? Hair is important to us. Whether you may realise it or not, many of us are lost without it; it can be a comfort blanket, a small way in which we express our identity. Therefore, hair loss can be far more than a physical experience. With the baldness comes a plethora of feelings- emotional complexities such as shame, guilt, and distress. While many of you may know that I speak a lot about trichotillomania, it is important to note that it isn't, of course, the only form of hair loss. Hair loss can be experienced by anyone for a number of different reasons. But did you know you can take steps to actively reduce this loss or make hair grow back faster? Whether you are suffering from baldness (head, eyelashes and eyebrows, to name a few places), or simply want to boost the growth of your barnet, here are some easy steps you can take to achieve that without having to turn to cosmetic treatments. Experiencing hair loss can be a terrifying time. Whether it happens through disorders such as trichotillomania, as a side effect of chemotherapy, or as a result of alopecia, the impact on the sufferer's self-esteem and confidence is the same. It's relatively well-known that wigs can be the solution to this hair loss dilemma, but they are often associated with fake-looking, itchy, old-fashioned styles which puts many people off turning to them. Joseph's Wigs is one company who ditches this stereotype by offering an extensive range of high-end, high-quality wigs. You may have seen on Twitter or Instagram last week that I popped to London to see a show with my boyfriend. 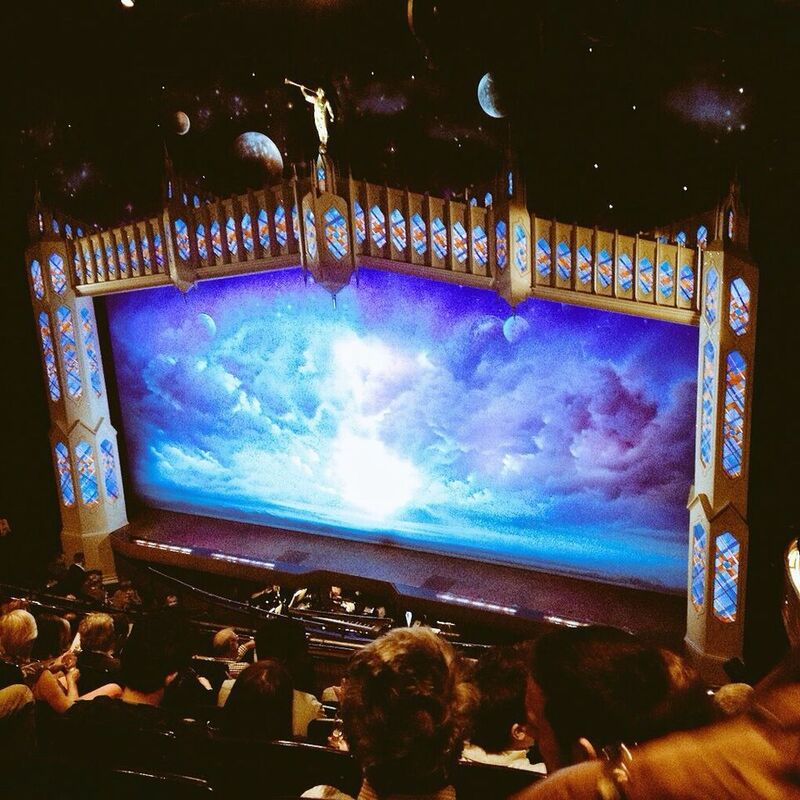 Tickets to the Book of Mormon were his birthday present from me; it's a show we have both wanted to see for ages, so last Thursday, we finally got to go! After strolling around Leicester Square in the sun for a while, we mooched to the Prince of Wales theatre (which is right by Leicester Square and the station) to see the matinee performance of The Book of Mormon. I think this may be the 6,295th brownie recipe I've posted on this blog (statistic may or may not be accurate), but the main reason for that is because I bloody love them. A gooey chocolate brownie...isn't that every chocaholic's dream?! While I've posted about brownies of the gooey, more cakey, and also slimming sort (yes, they exist), this recipe combines two of our favourite desserts: chocolate brownie AND cheesecake. Finally, will this post be *the* brownie recipe to end all brownie recipes?! If there's anything everyone on the planet has in common, it's how we love getting sh*t for free. A bargain makes us smile, but a freebie sends us over the moon with a joyful sense of accomplishment. But when you're embarking on a career, hobby or journey simply to accumulate as many free items as possible, this is where I have an issue. 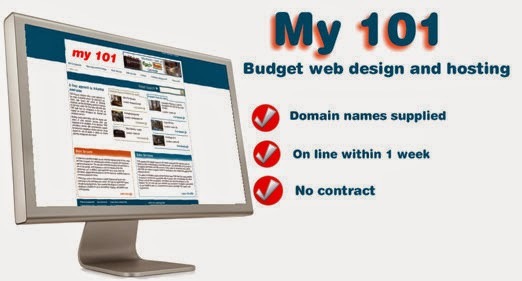 It seems as the world of blogging and vlogging expands, with new blogs appearing every day, people's reasons for starting a website of their own can begin to seem dubious. Blogging shouldn't be about the free sh*t, but for some, it seems that gifts are the only reason for joining this world. I've tried my fair amount of false eyelashes in my time. Having trichotillomania has meant that I've forever been on the lookout for a fabulous fake flutter to disguise my own lack of eyelashes. Eylure were the very first set of false eyelashes I tried, aged about 15. Back then, Eylure were pretty much the only brand to turn to. Since falsies have exploded into the beauty market, there are so many different brands and styles to choose from. I've fallen in love with Kiss, had a brief affair with Primark, and also discovered Tanya Burr and the Vintage Cosmetic Company. But, since their re-brand and launch of a huge range of varying styles, I've found myself crawling back to Eylure. Discovering new brands is so much fun, oui? From soaking in all the KIKO sights when it first opened its store in Brighton, to finding professional/affordable brands such as Freedom, uncovering something a bit new and different keeps the beauty game refreshing. My colleague has always raved about KIKO and told me I should try a brand called 'HEMA'. I jotted the name down but never got round to researching. Lo and behold, on one of my boring commutes back to Brighton I came across one of these spectacular HEMA stores in London Victoria. 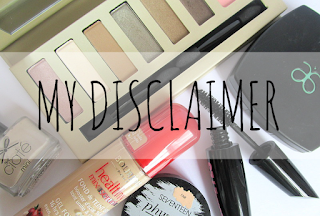 To sum up, they sell pretty much everything and their make-up is amazing. Hands up, who loves make-up?! Hands up, who has way too much make-up and not enough space to store all this excess beauty that you'll probably never use?! Yep, my hand went up too. It comes to a point in a beauty lover's life where you stop, take a look around your bedroom/bathroom and think, 'how on earth have I accumulated this much crap?'. I had this epiphany recently as I was moving house. Packing everything up made me realise just how many lipsticks I had, and how rarely I used them. I'm always running out of places to store them, especially in places where I can see what I have; when make-up gets hidden, you forget you have it and it's out of date next time you look! So here are some handy storage tips that'll help you get the most out of that beauty stash. I'm not a massive perfume snob, but I know that I tend to go for light floral scents. Heavy, sticky, sweet fragrances have never appealed to me, that was until I walked by the YSL counter in Boots, Brighton recently. Enticed by the glamourous yet endearing black bottle perched on their side counter, I wandered over for a quick sniff and haven't looked back since. 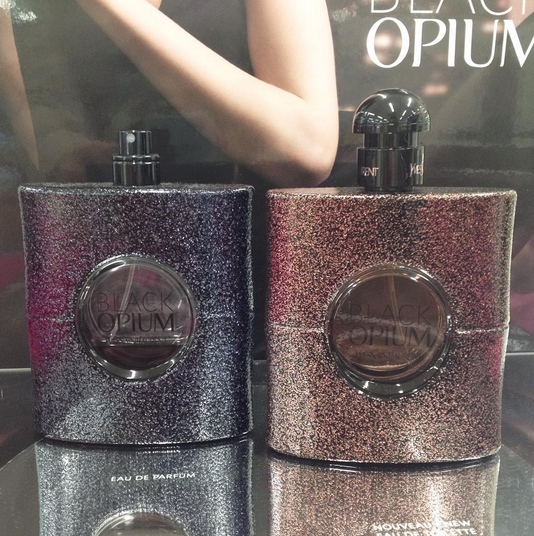 Launched back in September 2014, Black Opium marked itself as the third release in YSL's 'Opium' range and their new fragrance is interesting and mysterious enough to keep you coming back for more. Once in a while, life gets a bit too much and you need to take a step back in order to focus on what is important to you. This could include slightly neglecting your hobbies, as more testing issues make themselves a priority and leave you little or no time to practice the things you love doing in your spare time. Unfortunately, a busy week forced me to put blogging to one side for the past week, but the time away from this site was actually refreshing! We all need a little encouragement from time to time. Whether it be a little pep-talk about getting that essay done, or a bigger kick up the bum telling you that you are strong and will beat depression, there's always a motivational saying floating around social media that'll give you that push along your way. I have no issue with most; I actually think a lot of them are a great way of inspiring others and helping your peers to be the best they can be. What I have an issue with is the sayings usually linked with mental health; more specifically, the ones which encourage a detachment from the disorder or illness. 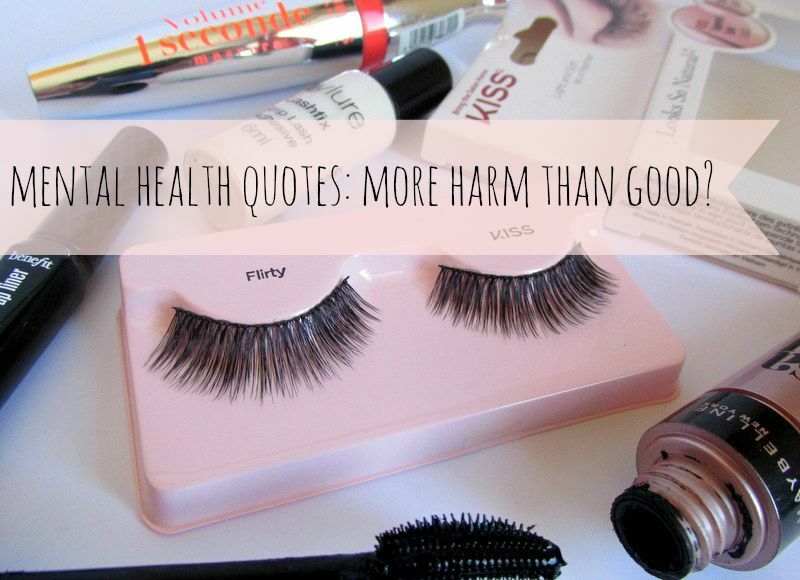 This post is just a little ramble about how 'motivational sayings' could potentially do more harm than good. Concealer palettes seem to be a new trend in the beauty world, with brands from high-end to high-street releasing their own collection of colours. 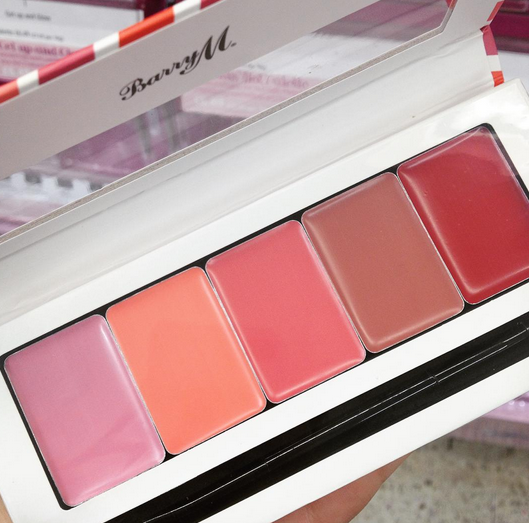 Budget brands such as Kiko, MUA, Sleek and Make-up Revolution have all released their own version of the colour correction palette, and now it's Freedom's turn. A brand created by the people who also started everyone's favourite dupe-giver, Make-Up Revolution, Freedom aims at making professional products affordable to everyday guys and gals, and they've sure created a winner with this concealer kit! 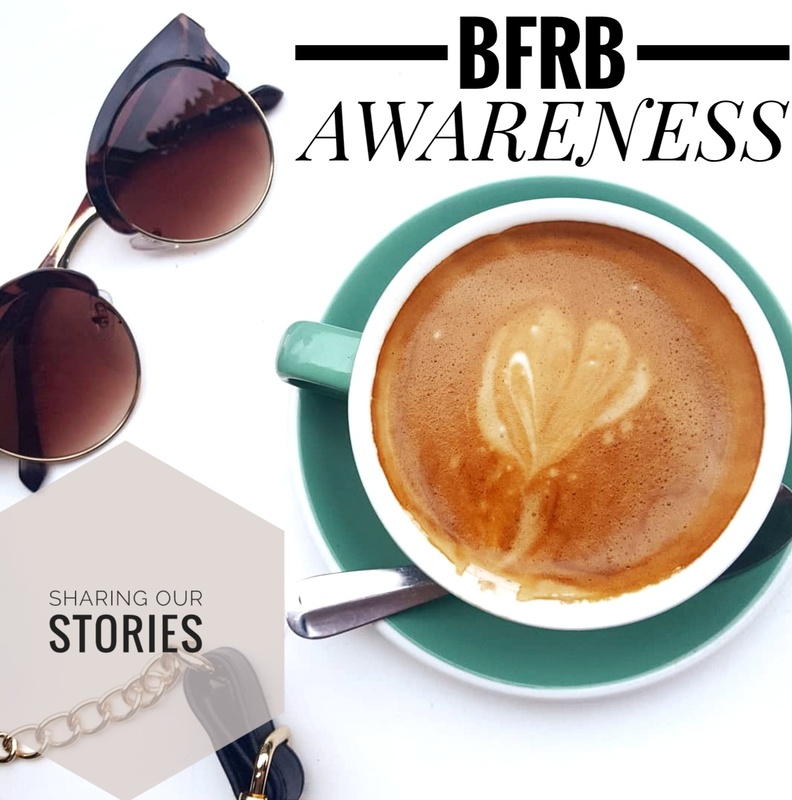 Since the blogging world has considerably expanded in the past couple of years, a number of stereotypes have popped up with it. Although not desirable, it only seems in natural line with the way humans think and process information; the blogosphere becomes more prominent in people's lives so stereotypes are designed in order to help people categorise this new field. Unfortunately, being stuck in these stereotype boxes can cause many issues and frustrations, and once the category has been created, it is quite difficult to break that mould which has been set by others. Since London Beauty Queen created the successful 30 Plus Blog Collective, the issue of age stereotypes has become an issue which I have been thinking a lot about. Why do they exist? What can we do about them? How are these stereotypes validated? AproDerm: A Beauty Solution For Dry Skin Conditions? In the past year, my skin has been fairly troublesome, causing me frustration and grief along the way. 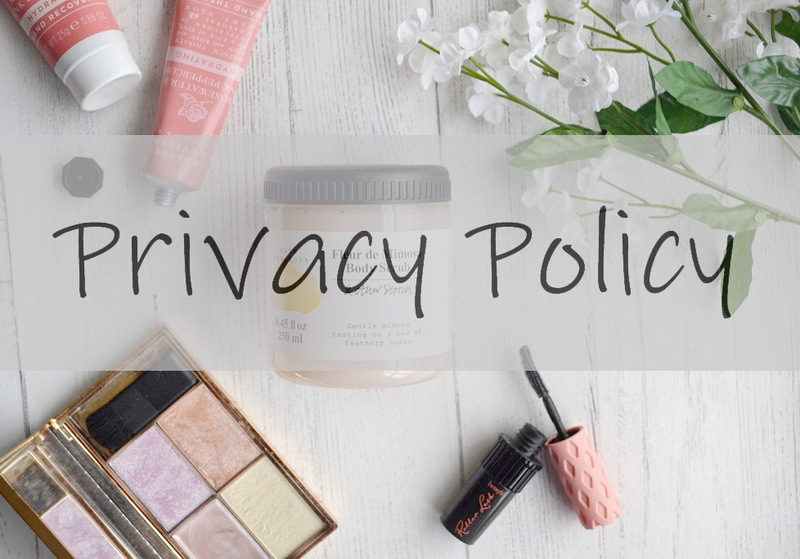 I suffer from really dry patches, meaning my make-up never sits right, my face can often look flaky, and I struggle to actually find skincare that can provide me with a real, long-term solution to the dryness. Having trialled this Aproderm moisturiser for a couple of weeks, I have actually seen an improvement in the condition of my skin. Could this be the solution we've been waiting for? Although many picture students as party animals who waste their student loan away on vodka, night-clubs and takeaways, for many, this image is so far from the truth. Being at university can be a testing time in many ways; educationally, emotionally and financially. While I've already given advice on how to get through your first year, students will know that hardships of any sort do not end when you move out of halls and fly the campus nest. 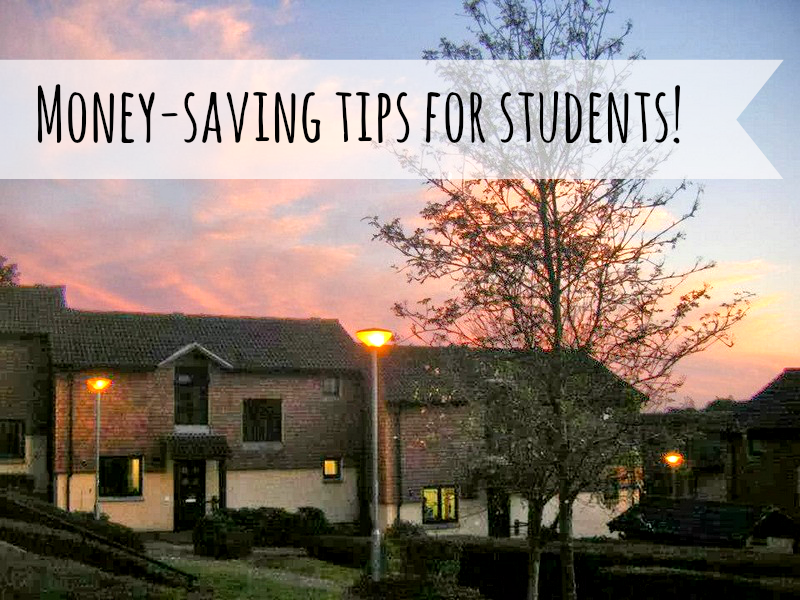 This post will hopefully help give a little advice on how to make the most of your student loan, and little ways you can save yourself some dosh. I've been there and done that, so here is what I have learnt along the way. We always want what we don't have. Since I can remember, I've always wanted to switch my lifeless, thin, straight hair for thick, voluminous waves. Luckily, there are products on the beauty markets that can help your hair situation, whether they are frizz-tamers, straighteners, or volume-adding formulas...there is something for just about everyone. Fat Hair is a range that's been available in the UK for a couple of years now, and their volumising hair range seems to have had a makeover. Naturally, I put it to the test! Blogging has become quite a competitive business recently. No-one can deny the power the blogosphere holds over industries and markets, and the influence blogs hold over their audience. I always go straight to blogs when researching a product I want to buy, as you are guaranteed a personal, honest opinion. People rely on blogs, but what about those behind the blogs? Blogging is a huge passion of mine; it keeps my brain ticking over when I have spare time, allows me to develop new hobbies and interests, you can meet so many amazing people and provides a fantastic creative outlet. In the broader sense, I love blogging. But when it comes to creating content all the time, sometimes inspiration can wear a bit thin. Moving house can be pricey. You see new opportunities to design your home exactly how you like it, and with this comes the need for purchasing new furniture, bedding and bits and bobs to make your place extra cosy. Next week I will be moving into a brand new house which has a lot more space than the last, meaning that not only do I have room to store all my make-up (YEY), but I need to think about how I want my room to look. Being fresh out of uni and laden with debts, it's essential for me to build up my home on a budget. Whether you're preparing to move into uni halls, are in the same position as me, or just want to decorate your home with some wonderful bargains, here are my top places to buy budget homeware. Eyebrow Stencils: Help or Hindrance For Hair Loss Sufferers? For the past 5 or so years, I've wasted so much time simply through having to draw my eyebrows on from scratch. Suffering from hair loss, having no natural shape to guide you makes drawing on those caterpillars (and getting them even) incredibly time-consuming and frustrating. I've always wished for a way to make it that little bit easier and faster, so when I saw these eyebrow stencils from budget brand W7, I thought this may be the answer to my prayers. In theory, this is a hair loss sufferer's dream product, but when put to the test, are these stencils more of a hindrance than a help?